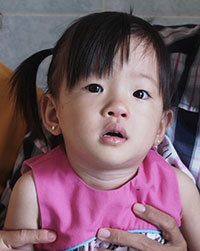 Vy has been diagnosed with Tetralogy of Fallot. The parents seem very involved and attached to their daughter, but the father’s low factory salary does not provide them with enough funds to provide for her surgery. The mother cannot work because the local school will not accept Vy because of perceived risk due to her heart condition.